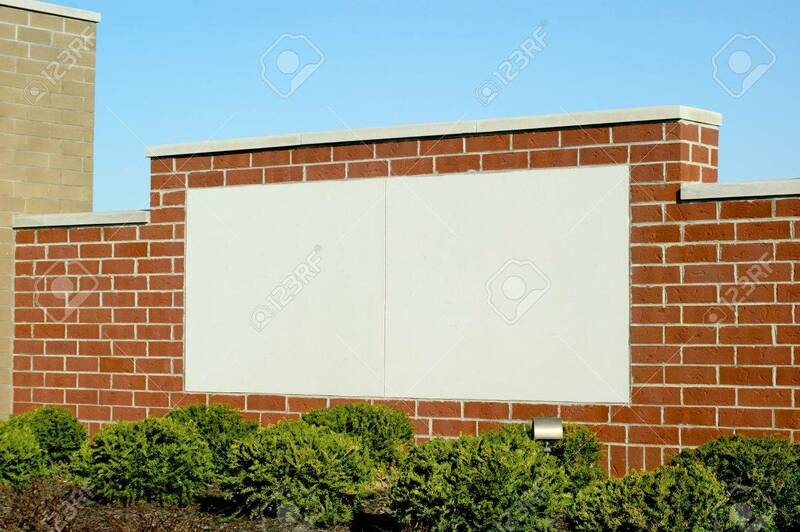 Blank Brick Sign Area In White With Blue Sky Background And Shrubs.. Stock Photo, Picture And Royalty Free Image. Image 35100755. Stock Photo - Blank brick sign area in white with blue sky background and shrubs in foreground. Allows for adding custom letters and message.